I am offering a 6 Weeks Nutrition Class beginning January 16th at Riverside Park United Methodist Church. We will study the basics of nutrition; how to meet your nutrient needs, how to lose weight, how to shop, eat out and many tips as to meal planning and cooking. Class is limited to 12 students, so sign up today! I will review food diaries between classes to help you get on track. Millions of Americans take vitamin D. Most should just stop. Americans love a quick health fix in pill form: something to protect against illness, with minimal effort. For years, one of the go-to supplements has been vitamin D, thought to do everything from preventing cancer to strengthening bones. Some bad news: Yet another big meta-study adds to the pile of evidence that it’s useless for most people. The new research, published in Lancet Diabetes & Endocrinology, looked at 81 randomized trials on whether vitamin D prevents fractures and falls, and improves bone mineral density in adults. The findings of the review were unequivocal. “There is little justification for the use of vitamin D supplements to maintain or improve musculoskeletal health,” the authors wrote, except in rare cases when patients are at high risk of or being treated for rickets and osteomalacia. This new research builds on previous meta-studies and the large-scale randomized trials that have shown the fat-soluble hormone doesn’t prevent fractures and may not have a role in preventing cancer, but can increase the risk of kidney stones when taken along with calcium. Of course, there are some cases when supplementation can be helpful: During pregnancy, for example, or for people who have been diagnosed with health conditions that may lead to vitamin deficiencies, like liver disease or multiple sclerosis. People who don’t get into the sun at all, like the homebound or institutionalized, may also be prescribed a supplement. But for a health boost in people with no symptoms of deficiency, the tablet shows so little utility that doctors are even questioning why we bother measuring vitamin D levels in people who aren’t at risk of deficiency. Most of us actually get enough vitamin D without even trying. So why all the hype about vitamin D? 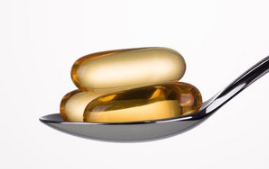 The hype about the vitamin during the past two decades started with early vitamin D science. Before researchers run randomized controlled trials, they often look for links between health outcomes and exposures in large-scale population research called observational studies. And early observational research on the benefits of vitamin D uncovered associations between higher levels of vitamin D intake and a range of health benefits. But the studies could only tell about correlations between vitamin D exposure and disease outcomes, not whether one caused the other. Still, they were enough to fuel media hype. Dr. Oz called the supplement “the number one thing you need more of.” And the vitamin D industry helped create a craze by paying prominent doctors to expound on the benefits of testing and supplementation for everyone. But more recent randomized trials — that introduce vitamin D to one group and compare that group with a control group — have shown little or unclear benefit for both vitamin D testing and supplementation in the general population. And reviews that take these trials together to come to more fully supported conclusions, like the new Lancet paper, are similarly lackluster. Still, testing and supplementation have exploded in the US. Between 2000 and 2010, the amount Medicare spent on vitamin D testing rose 83-fold, making the test Medicare’s fifth most popular after cholesterol. All that screening also led to an explosion in vitamin D supplement use, and millions of Americans now pop daily vitamin D pills. Depression is one of the most common—and most stigmatized—illnesses of our time. To help people understand it, cope with it, and heal from it, Well+Good Council member and practicing psychiatrist Drew Ramsey, MD, regularly talks about prevention and treatment. Now, emerging research finds even more evidence that exercise can help ward off depression in some people. Here, Dr. Ramsey explains why these findings are so promising…and why you might want to lace up your running shoes today. Now there’s even more evidence to support that idea. A new piece of research sheds some light on the subject, and it’s made me double down on my prescriptions for planks, burpees, and pull-ups. (Yeah, pull-ups! A 75 year old woman I treat just did her first.) The HUNT Cohort Study (Nord-Trøndelag Health Study) followed over 33,908 people for over 11 years. When researchers started the study in 1985, participants were screened to ensure that they were healthy, had no history of depression, and were not acutely depressed. About 10 to 12 percent of clinical depression could be prevented if all adults exercised for a little over an hour a week. The investigators also measured individual exercise habits, then continued to follow the individuals over the next 30 years. Over the course of the study, about 7% of participants became depressed. Here’s what researchers found: Exercising for an average of only 90 minutes per week had a significant effect in preventing depression. They estimated that compared with sedentary people, people who exercised an hour or more a week were 44% less likely to become depressed. The researchers estimated that about 10 to 12 percent of clinical depression could be prevented if all adults exercised for a little over an hour a week. Separately, a 2015 study in the British Journal of Psychiatry found that after 10 months, twice as many people got and stayed better when exercising as compared to those just taking the SSRI sertraline (Zoloft). How about that for motivation? Next time you need inspiration to get moving or to push it to the next level, remember that you are fighting one of the most pernicious and disabling illnesses of our time: clinical depression. So exercise this week—and even better, get a friend to join you. You’ll be making planet Earth a more connected and less depressed place. And by the way, don’t stress too much about the type of exercise you get. Studies have shown several different kinds of exercise are effective, from weight lifting to interval training to running. I want to be clear: Exercise alone is not a replacement for good mental health treatment. I’ve exercised my entire life, but I’ve also gone to therapy, psychoanalysis, eaten brain food, and worked on my mental health. Exercise can’t prevent depression in all cases, and certainly telling people struggling with depression simply to hit the gym is misinformed and stigmatizing. With that said, in my clinical work as a psychiatrist, I see exercise as a reliable intervention to help people improve their mood and mental health. It’s also a great way to connect with others and yourself. What’s my ask of you? Use this science as a motivator to take care of your brain and be more resilient against depression, because the most beautiful thing about you is your brain. The list of reasons you should start lifting weights just keeps on growing: Not only does strength training help you create a body that’s toned and defined, but it also assists in preventing osteoporosis, combatting depression, and reducing pain. But one study outlined another important benefit: The activity can help you live longer. Researchers found that those who pumped iron cut their early-death risk by a whopping 46 percent. For the study published in the journal Preventative Medicine, researchers tracked 30,162 adults aged 65 and older for 15 years, and 9.6 percent of them (about 2,900) strength-trained regularly. Researchers found that those who pumped iron cut their early-death risk by a whopping 46 percent, and the results remained true even after taking in account participants’ past medical history and health behaviors. Strength training obviously keeps your muscles strong, which gives you better stamina and balance, and also increases bone density—all things that can reduce your risk of falls and fractures, according to study co-author Dr. Jennifer Kraschnewski. Study co-author Jennifer Kraschnewski, MD, told Men’s Health that there’s a simple explanation: Strength training obviously keeps your muscles strong, which gives you better stamina and balance, and also increases bone density—all things that can reduce your risk of falls and fractures. And that’s important to note since 2.8 million people aged 65 and older are treated in emergency departments for fall injuries every year. Even better, you don’t need to turn into a professional bodybuilder to live a longer life: The study participants strength-trained twice a week, and doing so gave them a 41 percent decreased risk of cardiac death and a 19 percent decreased risk of dying from cancer, according to the press release. Well, strength-training certainly carries a lot of…weight, but this celebrity trainer’s advice can help you get into a routine if you’re new to lifting. While everyone continues to go crazy for coffee, we’d like to point your attention toward tea. Yes, tea, the beverage that can soothe you when you want to relax or wake you up when you need an extra push. Basically, tea is great and you should consume it just as much as your beloved java. 1. First things first, tea is way easier to make than coffee. – Most of the time, you need a whole machine to make coffee, and you may even have to grind some beans. To make tea, all you need is boiling water, tea and a cup. It’s that simple. 2. Green tea could have the power to help keep your bones healthy.- For elderly folks, studies have shown that drinking green tea may help lessen the risk of osteoporotic bone fractures. 3. Drinking unsweetened black tea could help fix bad breath.- If you have a case of halitosis, you may want to start drinking black tea. Researchers at the University of Chicago College of Dentistry found that black tea contains chemical components called polyphenols that slow down the formation of plaque-causing bacteria. The polyphenols also reduce “acid production levels,” helping to prevent periodontal disease. 4. It’s considered a “necessity of life” in China, so maybe it should be for you, too. – Along with firewood, rice, oil, “chiang,” salt and vinegar, tea is considered one of the things “people cannot do without every day,” according to the proverbial “seven necessities of life” created by the Sung Chinese people. 8. Some experts believe that drinking tea can sometimes be better than drinking water. – Researchers at the European Journal of Clinical Nutrition found that tea rehydrates you just as much as water does by replacing fluids in your body. And because tea has antioxidants, there’s an added bonus. “Water is essentially replacing fluid. Tea replaces fluids and contains antioxidants so it’s got two things going for it,” public health nutritionist Dr. Carrie Ruxton said in an interview with BBC. 9. Afternoon tea. Need we say more? – There are parties dedicated to drinking tea, which include sandwiches that are delicious. Here’s a little history: In 1840, Anna Maria Stanhope, the seventh Duchess of Bedford, thought of the genius idea of having afternoon tea “to bridge the lengthy gap between luncheon and dinner.” In order to retain a good (but restrained) appetite for the sweet scones and iced cakes that accompany such an event, the preceding sandwiches that were eaten at this event needed to be filling but too filling. Thus came dainty mini crustless sandwiches that have lighter fillings like cucumber and eggs for a tasty, quick snack. Engaging in aerobic exercises such as spinning, running, walking may be three times more effective than other types of exercise in delaying the risk of Alzheimer’s disease as well as improving cognitive function in older adults, a study has found. Alzheimer’s disease — the most common form of dementia — is a brain disorder that destroys memory and thinking skills over time in older adults. There is presently no cure for the condition, though treatment options are available. The findings, led by Gregory A. Panza, Exercise Physiologist at the University of Connecticut, showed that older adults at risk for or who have Alzheimer’s, who did aerobic exercise by itself experienced a three times greater level of improvement in their ability to think and make decisions than those who participated in combined aerobic training and strength training exercises. Older adults in the non-exercise group faced declines in cognitive function. However, those who exercised showed small improvements in cognitive function no matter what type of exercise they did, the researchers said. Geriatrics experts have for long suggested that exercising can improve brain health in older adults. The World Health Organization (WHO) has recommended that older adults perform 150 minutes a week of moderate exercise (such as brisk walking), 75 minutes a week of vigorous aerobic training, or a combination of the two types. The WHO also suggested older adults perform muscle-strengthening exercises on at least two or more days a week. For the study, published in the Journal of the American Geriatrics Society, the team reviewed 19 studies involving 1,145 older adults that examined the effect of an exercise training programme on cognitive function in the elderly at risk for or diagnosed with Alzheimer’s. Of the participants, in their mid-to late 70s, 65 per cent were at risk for Alzheimer’s and 35 per cent had been diagnosed with Alzheimer’s.